We are currently installing Heidts Mustang II front suspension system with power rack and pinion steering in all of our Mustangs. We offer a wide variety of engines for our cars. 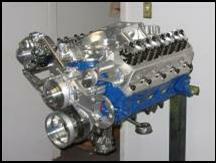 From stock crate engines to custom stroker engines. We are currently installing new Tremec T56 Six speed transmissions, but we can acquire and install almost any type you want. Interior Options: All of our cars come with new, updated, stock style interiors. 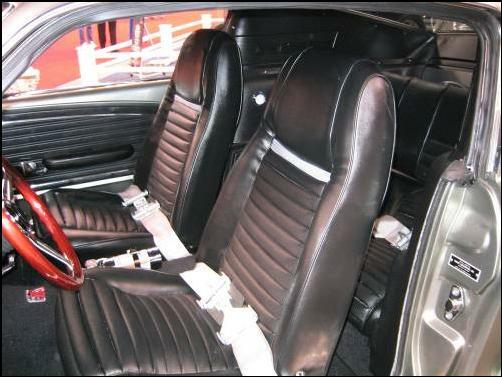 Options can include Carroll Shelby Series One Signature seats with matching rear seat. 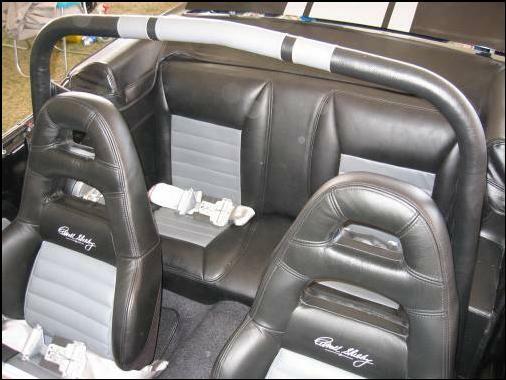 Custom interior including custom door panels, center console, kick panels etc. Aluminum Shelby interior kit for Mustangs. Dash panel (black or aluminum) hand signed by Carroll Shelby with a certificate of authenticity. Shelby Aluminum Interior Kit with Signature and in-dash, touch-screen DVD player with premium audio system. Black Interior Kit with Signature with AM/FM Cd/Mp3 Player. Shelby Series One Seats with custom rear seats and roll bar cover. With an endless list of options, we can build your car your way. From a custom engine, six speed transmission, independent rear-end, and a custom interior with audio/video system, your car can be as mild or wild as you like. Please contact us for additional information and pricing. Black Interior Kit with high back Mach-1 Style seats. New! 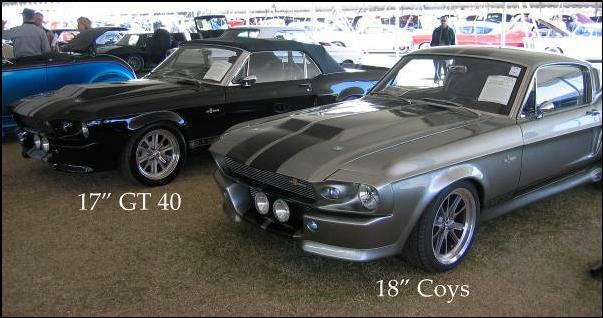 Now you can Build your own Custom Fastback or Convertible. Just choose our well equipped standard package, or choose the options that you like the best. Heidt's quality products are engineered with one simple concept in mind: Today's serious street rodders shouldn't have to accept anything less than a great ride and superb handling from their design. Now you can finish your Muscle Car the right way with Heidt's new SUPERIDE IRS kit. 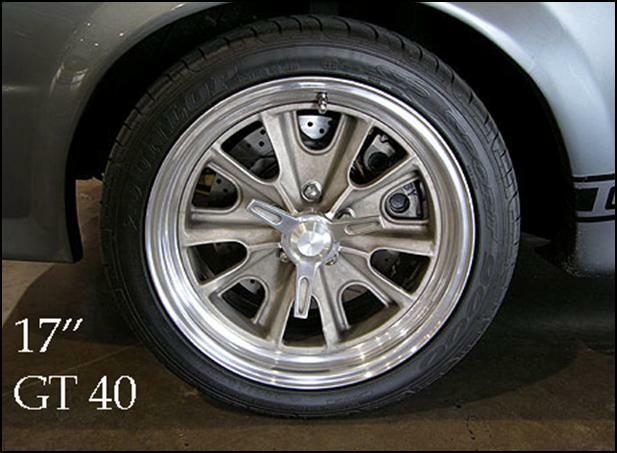 It is the best riding and handling IRS to combine with your SUPERIDE IFS and will make your street rod a first class ride. The geometry is designed to be compatible with the SUPERIDE IFS, as well as most other independent front suspension kits. It is a complete nit, hub to hub, just like the SUPERIDE IFS. 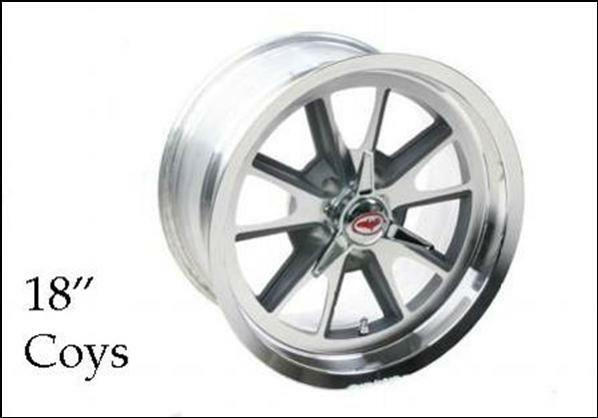 It begins with a cast aluminum alloy center housing, which is available fully polished. 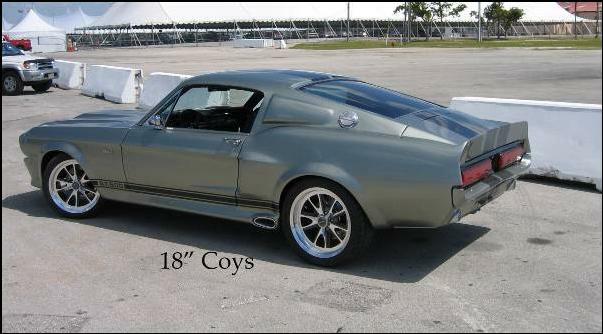 It includes a Ford 9" 3rd member, which is also available in fully polished aluminum.